The KISS Steering Committee has selected the following four programs for inclusion into the 2019 KISS Study Program. Congratulations to all of the teams listed below! 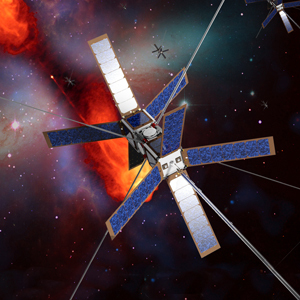 The goals of this study program are to identify new science missions enabled by a nebula; to quantify benefit to traditional, existing, and planned science missions; to identify candidate mission architectures and demonstration milestones for follow on proposal development for all participants. What can the Nebula Concept do for planetary science? What can the Nebula Concept do for mission operations and autonomy? What are the capability concept analogies that help guide future R&D? How does the Nebula Concept help DSN and the Planetary Data System? How can we deploy the Nebula Concept for future planetary science missions? Downlink limits have severely constrained the types of science instruments we fly and made those missions riskier due eventual instrument failure. The Deep Space Network has enabled humanity to make significant scientific discoveries by safely shepherding data from remote science instruments back to earth-side databases for scientists to peruse. But the most informative science instruments such as synthetic aperture radar and multi-spectral imagers generate prodigious amounts of data, all of which must use the same network to get back to earth. This problem is likely to become worse, as instruments improve and more are sent to the same location. It is simply not possible to downlink this much data anywhere beyond the lowest earth orbits producing contentious prioritization and prohibitively long delays. For this reason, significant resources are (rightly) invested in creating higher throughput connections to distant science targets in the solar system. But the Nebulae Concept may bypass those restrictions, for example, if we deploy on-site data storage to accumulate all observations or computation to compress and pre-process. The team brings together experts in space systems engineering, mission development, high performance computing, analytics, instrument design, communication networks, and planetary science. The capabilities outlined by the computing team, and tailored to from the science team, will provide the framework for strategic planning with the formulation / design team. In the last two decades, severe droughts and extreme climate events have caused widespread tree mortality across many forest biomes globally, causing profound effects on the function of ecosystems and their services in terms of water and carbon regulation of the Earth System. Hot and dry conditions and increasing atmospheric demand for water from vegetation have been exceeding the capacity of the plants to pump water from soil to leaves, leading to the collapse of plant hydraulic systems. Large-scale tree mortality and the concomitant shifts in the land carbon and energy balance are expected to lead to large biogeochemical and biophysical climatic feedbacks. However, process level understanding of tree mortality and quantification of the links between carbon and water fluxes and feedback mechanisms have been limited by the lack of vegetation measurements at tree to landscape scales. Spaceborne observation of water in forested vegetation will allow us to address challenging questions about the fate of forests under water and heat stress, including impacts on carbon and water fluxes. The focus of this study is to greatly increase our current capacity to understand and predict the response of forest ecosystems to droughts and links between water and carbon processes in the earth’s biosphere. Our goal is to identify space-borne observational approaches, based on recent breakthroughs in remote sensing measurements of vegetation water content as well as related vegetation properties and ecosystem modelling. Focusing on recent results from in-situ studies, satellite observations of large-scale water stress in forest ecosystems, and improvements in the Earth System Models (ESM), the workshop will have the challenging task of identifying new measurement approaches and observational frameworks for future research programs and Earth Observing (EO) missions. The focus of the study is new approaches toward the search for intelligent life elsewhere in the Universe. Such a discovery would have profound scientific, cultural and societal impact. In the era of the rapid advances in exoplanet studies, including searches for biomarkers, and the exponential growth of data, the time is right to revisit this challenge using a fresh, data-driven approach that would minimize the existing anthropocentric and cultural biases as much as possible. We will explore the possible paths for a systematic exploration of observable parameter spaces derived from the modern sky surveys, using machine learning and other computational tools. To this effect, we will address specific methods to conduct objective and unbiased searches for sources or signals that would appear anomalous in some well-defined way, and investigate the possible ways of separating those of possible artificial origins from the natural, albeit rare physical phenomena. The outcome of this study would be an evaluation of the possible technical approaches to this problem that can be applied on the existing and forthcoming data sets and streams from large sky surveys, and the recommendations for the observing strategies that may increase the chances of the success. These can be used as a basis for the larger proposals for the future studies. As an added benefit, this study would also sharpen our methodology to look for the rare and/or as yet unknown natural phenomena that may be hidden in these vast data sets. Biodiversity loss is a major threat to ecosystem health and to Earth’s life support systems, with human activities causing rapid and widespread loss and shifts in distribution. These changes will have accelerating consequences for human well-being and the flows of carbon, water, nutrients, and energy through the Earth system. Progress in both fundamental biodiversity science and applied conservation efforts has been constrained by limited spatial and temporal availability of biodiversity data. These gaps are largest in areas where biodiversity is greatest and where it may be most threatened, highlighting the need for globally consistent and continuous approaches for assessing changes in biodiversity. Progress in advancing biodiversity science globally and in developing consistent approaches for assessing biodiversity change demands integrating findings across temporal, spatial and biological scales and linking knowledge across many fields. Yet most biodiversity studies and initiatives to date have been limited in spatial or temporal scope and largely grounded in the biological sciences only. In contrast, efforts emphasizing use of remote sensing data sources make limited use of cross-sensor fusion and tend not to integrate with the large stores of wide-ranging, ground-based data collections housed at museums and other institutes. Currently, there is no global, harmonized observation system for delivering regular, timely data on biodiversity status and change. Hence the biodiversity science community would be fundamentally revolutionized by the development of a capability to continuously monitor biodiversity through integrated remote sensing and ground-based approaches, including the use of key traits (Essential Biodiversity Variables-EBVs) across the globe. The focus of this study program is to advance progress towards the development of a global biodiversity observation system that couples space-based and ground-based approaches to quantifying biodiversity, to identify gaps in biodiversity traits and EBVs, and to explore how the fusion of diverse remote sensing measurements can contribute to monitoring biodiversity change. 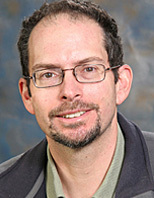 At this unique time point when NASA and international partners are on the verge of launching a series of new missions, the study program provides the opportunity to inform development and planning of Earth science missions that can contribute to the maturation of imaging spectroscopy, imaging radar, vegetation canopy LIDAR, and other developing remote sensing technologies to advance biodiversity science. The goal is to develop a roadmap to establish an integrated global biodiversity monitoring system that enlists advancing spaceborne remote sensing technological capabilities together with ever-increasing ground-based in situ data collections and field observations. This program will initiate a new era in biodiversity science, supporting characterization and monitoring globally of biological variation across spatial, temporal and biological scales. The evolution of planets and satellites and their potential habitability are central questions of planetary science. Recent discoveries from spacecraft missions and telescopic programs have illuminated the central role that tidal heating plays in the evolution of worlds across our solar system and beyond. This fundamental process drives the orbital evolution of planetary-satellite systems as a whole, and shapes the surface environments and geological activity of satellites, impacting the habitability of ocean worlds (Europa, Enceladus, Titan, Ganymede, etc.). However, despite its broad ranging importance, there remain fundamental gaps in our understanding of tidal heating. For example: Where and how is tidal heat actually dissipated? How do we link laboratory experiments of rheology to planetary-scale observations of deformation or heat flow? How are subsurface oceans created and maintained? While there are well-tested tools in place to study a variety of individual planetary processes, there is no established path forward for unraveling the interconnected roles of tidal heating and orbital evolution. Such investigations will require innovative approaches and new technologies that can pin downthe orbital evolution and deformation of these worlds, integrating laboratory work, spacecraft and ground-based observations, and numerical models. Our study will bring together some of the brightest minds in planetary science, mission design, and instrumentation to generate new, original ideas for revolutionizing our understanding of tidal heating. Our central objective is to integrate the numerous recent advances across the relevant fields, including recent laboratory studies, new telescopic/spacecraft data, and new instrumentation under development, in order to construct a coherent path forward for establishing a definitive framework for understanding tidal heating and its influence on the evolution of planetary systems. 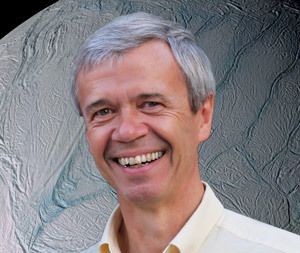 The combination of recent scientific advances as well as the forthcoming Europa Clipper and JUICE missions, the formation of the NASA Ocean Worlds program, and current/future New Frontiers-class missions to tidally heated worlds (Io, Enceladus, Titan) make it clear that now is a critical time for integrating what we know, identifying what we do not know, and creating a clear roadmap for the future science investigations and technologies that will be needed to optimize missions in the coming decades. Amongst the myriad tidally heated worlds in our solar system, the effects of tidal heating are most prominent within the Laplace resonance between Jupiter’s moons Io, Europa, and Ganymede. Io is the most tidally deformed and heated world in the solar system—as evidenced by the hundreds of continually erupting volcanoes across its surface, and is thus the ideal target for investigating these questions. Furthermore, while several missions are planned to explore the Jovian system in the coming decades (e.g. Europa Clipperand JUICE), our understanding of orbital dynamics and tidal heating in the system will be limited by the lack of measurements of Io. Our study will therefore emphasize the Jovian system, and Io in particular, as the best laboratory for understanding the fundamental processes of tidal heating. How do solid/liquid planetary bodies and planetary materials respond and deform in response to periodic tidal forcing? How do tides influence global heat flow and its variations (spatial and temporal), and how does this heat translate into specific geologic processes? How do the spins and orbits of planetary satellites respond to tides over long timescales, and how does that couple with the thermal evolution? These questions will serve as the cornerstone for discussion in our study. We will address each question in a three-pronged approach. First, we will review and integrate recent scientific advances and the relevant new or in-development technology and instrumentation. Second, we will identify the key gaps in our current framework for understanding tides and tidal heating. Lastly, we will identify the specific requirements for bridging these gaps, including: the measurements to be acquired, the instrument technologies to be developed or matured, and the new theoretical modeling capabilities and/or data techniques to be developed. The resulting final report will represent a roadmap for future understanding of tidal heating. The polar regions of Mars host layered deposits (PLD; ice sheets that together have a volume similar to the Greenland icesheet on Earth) that record climate signals over millions of years of accumulation. The signals stored in the martian layers are caused by variations in rates of ice and dust accumulation and likely record atmospheric variability and perhaps volcanic events. To date, climate models based on derived orbital parameters have given us the most insight into what happened in Mars’ recent past (going back ~20 Myr). However, detailed analyses of the PLD layers would provide a unique opportunity to increase our understanding of the climate history on Mars and test our climate models on a simplified terrestrial planet. This study follows on the heels of recent breakthroughs in measurement capability, global budget information, and model development. The first global satellite maps for Carbonyl Sulfide (OCS) from TES and MIPAS showed strong similarities with spatial and temporal patterns in a priori global simulations. Furthermore, laserbased sensors capable of continuous measurements for the detection of ambient variations have been developed and could enhance future satellite validation campaigns. Most importantly, advances in bottom-up modeling provided the first mechanistic plant flux models which were successfully implemented in a global transport model for interpreting variations in the free troposphere. The ecosystem model is based on SiB which has mechanistic representations in terms of OCS plant uptake, Solar Induced Fluorescence (SIF) emissions, CO2 photosynthesis flux, and CO2 ecosystem respiration flux. The workshop will also leverage recent collaborative activities within the OCS and SIF communities. Terrestrial photosynthesis is the fundamental coupling between global cycles of energy, carbon, and water. Satellite vegetation indices provide insights on vegetation structure, but they do not provide a direct measurement of photosynthesis rates. The mystery of the tropical biosphere leads to profound questions for the global carbon, water, and energy cycles. Satellite-based OCS data could provide a time-integrated tracer of photosynthesis that is an indispensable complement for both the net signal related to CO2 satellite data and the instantaneous signal related to SIF satellite data. Each of the three independent approaches has unique capabilities for detecting carbon-climate feedbacks that were previously not measurable. 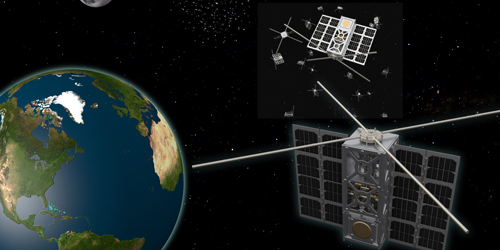 OCS satellite platforms (TES, ACE, MIPAS) are near or past the end of their lives and this is a key time to explore the potential for future space missions to measure OCS. This study program will explore the potential for follow-on missions to provide key capabilities while considering the integration with SIF (e.g. GeoCARB), CO2 (e.g. OCO-2), and other satellite instruments (e.g. A-Train for temperature) to enhance overlap in the time and space domains. Plans for space-based missions will also include validation from OCS airborne (e.g. ACT America) and ground-based column observations (e.g. TCCON). This study will address the design and concept of future Cosmic Microwave Background (CMB) experiments and in particular a future CMB satellite to extract cosmological information from the polarized CMB photons. The research will aim at deriving forecasts of the optimal (instrumental and observational) parameters of future CMB experiments, considering technical and hardware aspects along with theoretical modeling, astrophysics and statistics. 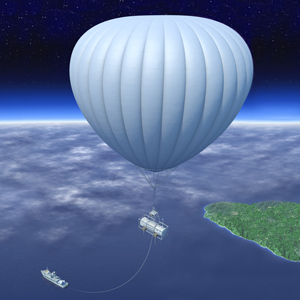 In addition, the study will address the complementarity of ground based, balloon and space experiments, and investigate how new technologies could impact future measurements from these platforms. While this work will aim at setting constraints on cosmic inflation, dark matter, light relics and neutrinos as well as cosmological structure formation, it will focus primarily on studying/tackling the challenges posed by foreground emission, CMB lensing, and instrumental systematics, major stumbling blocks for the search of primordial B-modes in CMB data. This focus, and stimulation of demonstrable (and presently mostly non-existent, given the severity of demands on the requisite measurement fidelity) solutions of the pertinent problems, is necessary for constructive approach to the grand challenge of the CMB cosmology – to obtain credible measurements of the CMB B-mode polarization of primordial origin, and probe firmly the earliest evolutionary epochs of the universe. 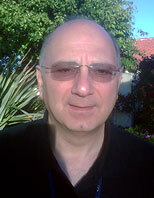 This work will explore innovative ideas and methodologies aiming at assessing properly the impact of the presence of foreground residuals, lensing-induced B-modes, and instrumental systematics in the CMB maps on the measurements of the tensor–to-scalar ratio, r, and the Thomson scattering optical depth, τ. Our program will help understand what performance can be achieved given novel experimental designs. New concepts for a potential CMB probe and a CMB-S4-class experiment will emerge. This KISS study is devoted to the question of accessing the subsurface oceans of icy worlds in order to explore these water oceans and to discover the presence of alien extant life. Two of those icy worlds, Europa and Enceladus, are believed to be the most likely places in the solar system where extraterrestrial life may be discovered. A third ocean world, Titan, has a deep water ocean and abundant organic material in its atmosphere, but it is not clear that the water ocean is in contact with the rocky interior, an interface that is believed to be favorable for the emergence of life. The Galileo and Cassini missions have revealed the presence of global oceans under the icy crust of several moons of Jupiter and Saturn. Among those moons, Europa and Enceladus have their ocean in contact with the rocky core, providing an environment similar to the conditions existing on the terrestrial sea-floor where life has developed at hydrothermal vents. At Enceladus, the Cassini mission made several discoveries (nano particles of silica, H2 in the jets, large heat power dissipated at the South Pole, …) that point to the existence of hydrothermal activities at the ocean-rocky interface. Europa, a moon 6 times as large as Enceladus, will be scrutinized by two missions: the multi-flybys mission Clipper that will determine the thickness of its crust, and the Europa lander mission that will investigate its habitability potential. A following and most exciting step in the exploration of those moons is to explore their ocean. Deep oceans are clearly not the easiest place to explore. Sending submarines into the ocean of either Europa or Enceladus requires getting access to the ocean. The goal of this workshop is to review the different technologies that have been developed and to define the technologies that are still required. Although Europa has got much attention on this topic, the study broadens its goal to Enceladus and other icy moons such as Titan where the ocean was once in contact with the rocky core and may still be. specify the characteristics and capabilities of the system (e.g., communications to the surface/Earth, deployment to the surface, operations, …). For resources, we will start with a design that can deliver 500 kg on the surface and would provide 4 MMRTGs worth of electric and thermal power. define the preferred option for each characteristic. Humans have lived in space and walked on the Moon. Now, humans landing on Mars is an imminent reality. The challenge of sending humans to Mars and beyond has many components, one of which is the mass of fuel required to launch, travel, and safely land on another celestial body. In particular, the most expensive part of space travel is leaving Earth’s atmosphere and gravitational pull. The mass of fuel required to leave Earth significantly limits the mass available for fuel and the payload to travel and land elsewhere. But what if we could refuel in space? Lunarport will be a launch and supply station for deep space missions. Lunar in-situ resource utilization will allow larger (more massive) payloads to be launched from Earth, bringing deep-space a little closer for human exploration. Landing humans on Mars, Europa, or even an asteroid will be in the near future with Lunarport. In the few years since the 2012 KISS (Keck Institute for Space Studies) workshop on Small Satellites: A Revolution in Space Science, a near-frenzied growth has taken place in SmallSat missions and capabilities. The functionality of CubeSats (< 10 kg) and SmallSats (< 200 kg) is increasing, providing the opportunity to achieve a wide spectrum of scientific objectives on these relatively low-cost/low-risk platforms. These spacecraft today rely on RF communication systems, which, despite their maturity and small footprint, cannot keep up with the growing demand for data, nor satisfy the various government controls on frequency and bandwidth for the radio frequency spectrum. Therefore, highly compact laser communication systems are being pursued because of their potential to return 100-1000x more data than the current options. 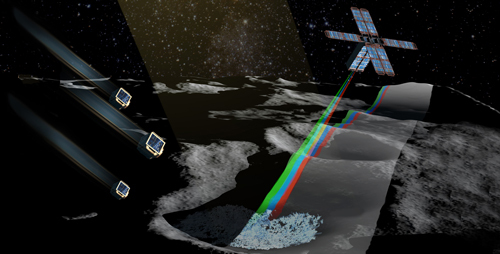 This study will bring together space scientists, technologists, and mission designers across two workshops to understand the current limitations faced by SmallSat science missions stemming from the communication bottleneck, and together craft novel technical approaches for optical data transfer that significantly enhances the quality and volume of data returned by these missions. The overarching theme is to identify the most logical development path for optical communication instruments, in order to retire the key risks associated with this technology and ensure that it will meet the needs of SmallSat customers and be competitive with their RF counterparts. Resource-efficiency will also be evaluated for these two options in different regions of space to determine the ranges where one holds a clear advantage over the other. For example, many deep space SmallSat missions may only be achieved through creative laser communication where RF bent-pipe alternatives are not available. This program will be driven by a rich cross-fertilization of the various contributors’ backgrounds and motivations to define new compelling science that is realizable by utilizing many existing ground and space optical facilities combined with achievable optical communication flight systems. While serving to initiate many near-term revolutionary SmallSat mission concepts, the concrete results that blossom from this symposium will clearly guide and impact longer-term strategies for supporting large-scale space optical communication architectures. An ongoing challenge in the long-term campaign to explore Mars is the mass and complexity involved in transporting consumables from Earth to the Martian surface. Key resources are oxygen and fuel, which are planned to be used for a robotic ascent vehicle to return samples from Mars. These resources are also critical for providing a breathable atmosphere, as a reactant for power generation from fuel cells, and for the production of other consumables necessary for human missions on Mars. Previous studies have shown that in situ resource utilization (ISRU) provides a viable pathway for supplying the fuel and oxygen to these missions by reducing readily available carbon dioxide from the Martian atmosphere. Ambient carbon dioxide reduction is likely to minimize or even eliminate the need to transport the large quantities of supplies from Earth to Mars. To successfully support these missions, however, large amounts of fuel and oxygen (e.g., 10 metric tons per Martian year) will still be needed, necessitating development of high-volume approaches to carbon dioxide reduction. This Keck Institute Space Science study will examine the photoelectrochemical production of fuel (such as carbon monoxide) and oxygen from carbon dioxide on the Mars surface. Rather than using high temperature processes dependent on power generated from solar arrays, sunlight would be used directly with a catalytic process to effect the low temperature conversion of carbon dioxide to carbon monoxide and oxygen using large area deployable photoelectrochemical panels. These proposed workshops and meetings will bring together experts in this field to develop a path forward for solving the Mars ISRU challenge via the low temperature, efficient production of oxygen and fuel from carbon dioxide. The main technical goals will be to identify specific photoelectrochemical pathways that are well suited for carbon dioxide reduction in the unique Mars environment, as well as viable designs for scalable Mars oxygen and fuel production devices. The goal of this program is to formulate space applications and mission concepts enabled by optical frequency comb technology and to identify high priority technology challenges and gaps that need to be addressed to implement these missions. Through the study program, we will develop a critical path forward for developing space qualified optical frequency comb systems. This program would bring together a diverse group of technical experts in optical frequency comb technology, space application specialists, and potential customers in the areas of astronomy and astrophysics, navigation, laser interferometry, earth and planetary science, and instrumentation development. In doing so, it will help to foster new collaborations that will lead to extraordinary new capabilities and previously unachievable missions for NASA enabled by space-based optical frequency combs. Clearly identify 2-3 high-payoff mission concepts with enough fidelity to allow for Team X or Team I to conduct a follow-on study where a mission pointdesign could be detailed. Prioritize critical areas for frequency comb subsystem technology development needed for space applications and not currently being addressed by other agencies; make recommendations for follow-on studies. Create lasting, productive collaborations between frequency comb technologists and space science and technology specialists. We will investigate and explore the best route for solving the profound puzzles arising from the recent ground-truth detection of methane on Mars by the Tunable Laser Spectrometer (TLS) onboard Curiosity [Webster et al. 2014]. This discovery reorients our understanding of the Martian environment and its potential for life. The current theoretical framework of Mars does not entail any active source of CH4, and it is predicted to have a lifetime of ~300 years in the Martian atmosphere - far shorter than the planet's age [Summers et al. 2002, Nair et al. 2005, Atreya et al. 2007, Lefevre & Forget 2009]. Hence, methane's atmospheric existence requires a continually replenishing source, potentially subverting assumptions of a geologically and biologically dead Mars [Allen et al. 2006]. Furthermore, methane's high variability despite fast atmospheric mixing (compared to its atmospheric lifetime) defies explanation. This discovery necessitates a new era of research pursuing answers to the questions: What is generating methane, and how is it destroyed or sequestered on Mars? Under this program, an interdisciplinary group of experts will develop an exploration and technology-development strategy for resolving methane sources and sinks on Mars. Existing hypotheses of Martian methane sources include gas-water-rock chemistry and microbes (methanogens). If proven, the former implies the existence of environs offering liquid water and chemical sources of energy - i.e. habitability - while the latter implies the discovery of life on Mars. Solving these puzzles innately requires a concerted research effort across many disciplines and major technological advancements, including new measurement and exploration capabilities and methodologies. KISS's unique think-and-do-tank approach, along with Caltech/JPL's leadership in Mars exploration makes this program arguably the world's best platform for catalyzing the synthesis of a grand strategy. By combining digital manufacturing technologies and advanced robotics with a new understanding of in-situ space resources, materials and processes for extraction and utilization, we intend to explore how to gradually ease into in-situ production of structures and products that can offset the tremendous cost of bringing everything from Earth. First, we propose to understand how to produce low-tolerance structures and products produced locally in the target environment, seeded by precision subsystems and instruments exported from Earth. What sorts of technologies can be implemented immediately to get the process going? Next we would like to establish a vision for how to gradually reduce the terrestrial supply chain in a way that can be affordable and sustainable so they will not need to be transported from Earth, and space agencies will be more willing to fund the incremental steps. By using these new in-situ 3D additive technologies to create space mission architectures, and strategies, the dream of expanding human civilization into the solar system and creating a new space based economy will become possible. In 2010, President Obama challenged NASA to send astronauts to an asteroid by 2025 and to orbit Mars in the mid-2030s. The Asteroid Redirect mission has been proposed in order to enable a human mission to an asteroid brought back to the Earth-Moon system and to serve as a stepping stone towards future exploration destinations. In 5 days, each team was challenged to design a mission to land humans on an asteroid brought back to lunar orbit, extract the asteroid's resources and demonstrate their use. The challenge consisted of an intensive one-week mission design competition where students were challenged to develop a mission to send astronauts to utilize the resources of an asteroid in lunar orbit. 32 student applicants were invited to participate in the competition. Students were divided into two multidisciplinary teams. NASA-JPL and Caltech faculties mentored the two teams to help them develop their mission plans. Students were also supported with guest lectures and workshops from top scientists and engineers from NASA-JPL, Caltech and other premier institutions. The challenge concluded with final presentations at Caltech, the submission of a final report, constructive feedback for both teams, and the announcement of the winning team. The report provided a complete description of the mission design, key technologies needed and their readiness level (TRL), the operating costs, timeline, etc. Students benefited tremendously by working in a multidisciplinary team, learning about project management and systems engineering. It will also gave students the opportunity to connect and interact with top scientists and engineers in industry. Important Information about the KISS ISM Program: Recent press articles (late 2017) appear to have included erroneous information about a Keck Institute (KISS) study. KISS has not produced a study about using SpaceX's BFR to get to 'Oumuamua. KISS did convene a program to study possibilities for future missions to reach the interstellar medium outside the solar system, but that study took place before the discovery of 'Oumuamua and is not applicable to that object. Recent discoveries reported in 2012 and 2013 by Voyager-1 and Kepler have brought into focus two end-points of what is now commonly referred to as the Interstellar Medium (ISM). Whereas Voyager-1 is beginning to explore the ISM in-situ, the Kepler space-based telescope and other Earth-based telescopes have detected a plethora of potentially Earth-like planetary systems around other stars or "exoplanets". The results of these two missions frame the context for further intellectual curiosity, scientific questions, and exploration goals that will define objectives for innovative and far-reaching missions heading out of our solar system and someday reaching for the stars. develop a technology maturation plan that will be proposed to KISS and JPL for follow-on funding. The technical challenge and the focus of the workshop is to assess mission implementation techniques that will enable affordable robotic probes to reach the ISM within 10 years with velocities up to 10 times faster than Voyager, and be designed to last 50 years or longer. By comparison, Voyager-1 is now traveling at a speed of 17 km/sec, and has taken 35 years to reach the ISM. Meeting this challenge would constitute a revolutionary capability that would enable multiple scientific probes to launch and return initial scientific results of and from the ISM within a decade, and continue for several decades. "Imaging a habitable world". Aerospace America. January, 2019. Alkalai L, Arora N, Arya M, Barnes N, Brashears T, Brown M, Cauley P W, Cesarone R J, Dyson F, Friedman L, Garber D, Goldsmith P, Jemison M, Johnson L, Liewer P, Lubin P, Maccone C, Males J, McDonough K, McNutt R L J, Mewaldt R, Michael A, Montgomery E, Opher M, Provornikova E, Rankin J, Redfield S, Shao M, Shotwell R, Strange N, Stone E, Svitek T, Swain M, Turyshev S, Werner M and Zank G P 2015 Rep. Keck Institute for Space Studies, 30 Sept. 2015. Web. The drive to understand galaxy formation and evolution over the lifetime of the universe has justified vast space-based and ground-based facilities, as well as the development of new technologies. We have identified a multi-disciplinary important scientific topic in the area of galaxy formation and evolution that has the potential to motivate specific technological and mission requirements. Succinctly, this is by connecting the most sophisticated cosmological simulations of galaxy formation and evolution, which are able to resolve features as small as a few light years in size, with detailed observational studies of star formation in the Milky Way and nearby galaxies. The alchemy of star formation, and the modes by which that activity couples to the broader galactic environment, occurs on small spatial scales. These scales, however, can only be traced with great sophistication in the local universe, as witnessed by observations using Spitzer, Herschel, SOFIA, and ALMA. The scales studied in the local universe are "sub-grid" for the purpose of cosmological simulations that make valiant efforts to include the physics of star formation and its feedback to the local environment. The fundamental uncertainties in how this sub-grid physics is incorporated into the larger picture are by far the greatest limitation in successfully modelling, and fundamentally understanding how galaxy formation and evolution actually works. New observations that can be used to constrain models. Definition of tests of different models and prescriptions for star formation that will be of interest for observers. Requirements for future instruments and space missions to enable the synthesis of these research areas. Gazing from space holds considerable promise of capturing details of features on the surface of the Earth and other solar system bodies. As features change over time, processes such as evolution of earthquake faults, migration of sand dunes, and retreat of ice masses can be illuminated. To gaze or stare means to look steadily, intently, and with fixed attention offering the ability to probe the characteristics of a target deeply, allowing retrieval of 3D structure and changes on fine and coarse scales. Surface reflectance and changing perspectives allow for a far more complete view of a surface than conventional spaceborne imaging. A gaze could last several minutes depending on the orbit, allowing rapidly changing features to be tracked over short time scales of seconds, and repeat passes would yield imagery covering time scales of days to years. Potential applications are numerous and diverse; they include, but are not limited to, glacier retreat, sand dune migration, geohazards from earthquakes, volcanoes, landslides, river ice break-up and floods, animal migrations, ecosystem changes; geysers on Enceladus; or ice structure on Europa. 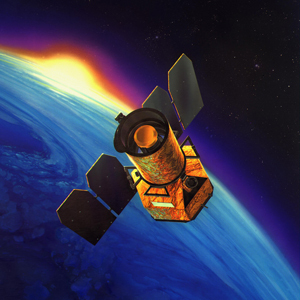 The goals of this study program are to develop the science that can be teased out of spaceborne gazing, specific types of targets and applications, the resolution and spectral bands needed to achieve the science, and possible instrument configurations for future missions. Near-Earth Objects (NEOs) are asteroids and comets whose orbits around the sun bring them within 0.3 AU of Earth's orbit. Estimates predict that this population includes over 1000 NEOs with diameters greater than 1 km, more than a million with diameters greater than 40 meters, over 150 million in the 10 meter class, and billions in the one meter size scale. There are many compelling reasons why mankind should be motivated to find and understand NEOs. Groups most interested in this collection of planetary objects include the planetary science community, the so called "planetary defense" community dedicated to defending the Earth from harmful impacts, and an emerging private-sector space resources industry. Observing NEOs is difficult because most reflect little sunlight and their trajectories often keep them far from Earth. When they do approach Earth they tend to do so under conditions making them hard to detect, and even harder to study. It is difficult to use passive telescopic and spectral analysis techniques to determine their composition because NEO surface materials may not be indicative of interior compositions, and their reflectance spectra can be ambiguous at low spatial resolution. The diversity of NEO types, sizes, and orbital characteristics multiply the technical challenge of a NEO census. For all these reasons, despite decades of effort, very few NEOs smaller than 1 km size have been discovered and characterized. Answer Critical Scientific Questions: Understand the distribution and composition of NEOs, and link them back to their sources, providing important clues to the dynamics of planet formation, the origin of the Earth, and delivery of its volatiles. Enable Planetary Defense: Defending the Earth from cosmic impact requires the discovery and orbit determination of potentially hazardous NEOs including those with diameters greater than 30 meters with trajectories that cross the Earth's orbit. For this purpose we will also need to determine the shapes, structural properties, and rotation states of these objects so as to confidently design systems to intercept or redirect them. Industrial Development: This map and assay will contribute to the development of the emerging new deep space industry focused on harnessing planetary resources. To do so, our map and assay will need to address specifically those small NEO objects that are most accessible to the Earth and for those objects determine their composition, rotation state, and physics structure. Current observational assets and methods are not sufficient to adequately map and assay the NEO population to support these goals, even if provided funding at many times present levels. Instead, we hope and expect that by combining the latest emerging but credible methods from a variety of scientific and engineering fields we will be able to formulate a fundamentally-new technical architecture that significantly reduces the cost and schedule required to accomplish the compelling but challenging goal we have established - so that it can realistically be performed on a decadal time scale. Examples of concepts to be considered at the workshop include the use of existing telescopes in conjunction with development of new ground-based and space-based instruments, and the application of fundamentally-new active measurement methods. We will evaluate innovative remote sensing options and the applicability of new types of space-borne instruments, micro-spacecraft, and high-speed penetrators. A potentially new class of missions directed at a putative population of small objects called mini-Moons that are thought to be temporarily-captured objects in the Earth-Moon system will also be considered along with system-level architectures of cooperating micro-spacecraft swarms. All of this work will be accomplished in the context of dynamical models of the NEO population and with an eye toward statistically significant ground truth validation of remote sensing measurements. The scope of the study is to adapt the most recent advances in multi-functional reconfigurable and adaptive structures to enable a micro-environment control that enables space exploration in extreme environments (EE). innovative types of lightweight and multifunctional structures; with multiple advantages in packaging and deployment of space structures; new types of robotic/autonomous systems, manufactured/printed in 2D, but morphing/ shapechanging their 3D shapes. The primary benefit of this study is to enable missions that would otherwise be too technologically challenging and/or expensive, in particular those that would involve long periods of time without direct solar input or RTGs, the availability of which may be limited in the future. Studies of permanently shadowed environments would particularly benefit, with remote deployables providing illumination, energy and communications. Other uses can be, e.g., to serve as a sun-shield to protect rovers from very strong sun, a thermal blanket to help them retain heat and survive a cold night, a calibration target for instruments, etc. This study will bring mission designers together with experts in these technologies, resulting in a better understanding of where we can best apply these ideas in space science, and leading toward focused development of the most promising concepts. Our knowledge of the formation, evolution and structure of the terrestrial planets (including Earth) is currently impeded by the very limited understanding of the interior structure of Venus. Seismology is a powerful technique that is responsible for much of what we know about the interior of the Earth and Moon; it can also play a key role in answering fundamental questions about our twin planet. Although Venus lacks plate tectonics, the main source of seismic energy on Earth, significant seismic activity can arise when there is distributed lithospheric deformation, just as it does with intraplate tectonics on Earth. The goal of the study is to devise methods to determine the level of current seismic activity and constrain the global structure that would work in the severe environment of Venus. 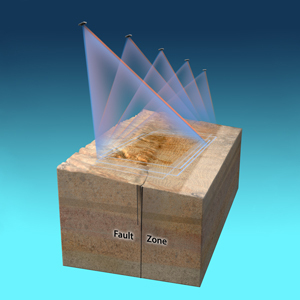 The conventional approach to detection of quakes is using sensors in contact with the planetary surface. This is the approach with the Mars INSIGHT mission that is currently under development. For Venus, in-situ sensors and spacecraft system must tolerate the Venus environment (460oC and 90 bars) for periods of up to year. A second approach is to detect quakes as infrasonic waves in the atmosphere using balloons floating in a region of the atmosphere where temperatures are benign. A third approach is remote detection from Venus orbit based on temperature and other physical changes that the infrasonic waves induce in the upper atmosphere and ionosphere. And there may be others! The goal of the workshop is to evaluate these alternative approaches and to devise a solution or solutions that can work at Venus. Sea level rise remains one of the most poorly predicted and potentially costly impacts of human caused climate change. Projections for sea level rise between now and 2100 range from 0.5 to 2 meters, which could affect hundreds of millions of people worldwide. This dramatic range of uncertainty frustrates decision making at all levels, from government to industry to individuals. Global sea level depends on a complex, inter-connected system with many components. But the ice sheets of Greenland and Antarctica, which contain ice equivalent to 80 meters of sea level, are the most critical and most uncertain components of this system. Recent work has suggested that interactions between the ocean and marine terminating glaciers may control the fate of some ice sheets. For example, in West Antarctica much of the ice rests below current sea level and is connected to the oceans through ice streams and outlet glaciers like Pine Island and Thwaites. It has been postulated that these two glaciers—both of which are thinning rapidly—are reacting to warm Circumpolar Deep Water that is intruding from the north, a process that could ultimately cause the collapse of the West Antarctic Ice Sheet and potentially result in 3 meters of global sea level rise. We propose to study this potential “tipping point” of global sea level rise. In particular, we will develop scientific requirements for an observing system to monitor the ocean conditions near key outlet glaciers such as Pine Island and Thwaites, test hypotheses for relating ocean conditions to ice loss, and cultivate a new generation of sea level rise projections. Although many observational assets are already devoted to the Antarctic cryosphere, the ocean near Antarctica remains poorly sampled and long-term campaigns will be required in order to answer the fundamental questions that stymie present-day sea level projections. Given harsh conditions and remote locations, remote sensing techniques will likely play an important role along with more traditional in situ observing systems. Lessons learned from observational and numerical studies of particular outlet glaciers would be used to identify and better understand other regions of key ocean-ice interactions. V. C. Tsai, A. L. Stewart, Andrew F. Thompson "Marine ice-sheet profiles and stability under Coulomb basal conditions", Journal of Glaciology, Vol. 61, No. 226, 2015. DOI: 10.3189/2015JoG14J221. 2015. "Eddy transport as a key component of the Antarctic overturning circulation", Nature Geoscience. DOI: 10.1038/NGEO2289. November 10, 2014. This study will develop innovative, low-cost mission concepts for detecting and mapping polar ice deposits on the Moon. We will bring together experts in diverse fields of lunar science, technology and exploration to assess the current state of knowledge and identify the key measurements required to fundamentally advance understanding of the distribution and abundance of lunar ices. These measurement goals will be developed into an array of mission concepts, with an emphasis on low cost, focused architectures with high likelihood of realization. From the set of possible missions, the study will select 2-3 for more detailed analysis, one of which may be pursued in a follow-on study. Ultimately, the goal is to enable identification of lunar ice deposits at small (~100 m) spatial scales suitable for future extraction, sample analysis, and in-situ resource utilization. Planetary-scale magnetic fields are a window to a planet’s interior and provide shielding of the planet’s atmosphere and surface for life. The Earth, Mercury, Ganymede, and the giant planets of the solar system all contain internal dynamo currents that generate planetary-scale magnetic fields. In turn, these internal dynamo currents arise from differential rotation, convection, compositional dynamics, or a combination of these in a planet's interior. 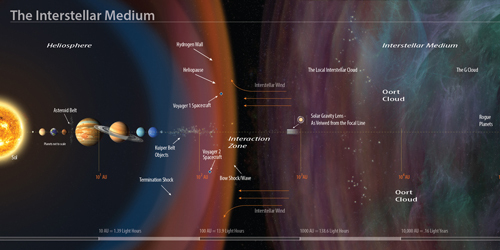 Extrapolated to extrasolar planets, knowledge of a planet’s magnetic field places constraints on the thermal state, composition, and dynamics of its interior—all of which will be difficult to determine by other means—as well as potentially crucial information about the extent to which the surface of a terrestrial planet is shielded from cosmic rays and potentially habitable. This study will assess the current state of knowledge about planetary magnetic fields, for both solar system and extrasolar planets; track the progress of the new ground-based instruments, particularly those in the radio (e.g., the Low Frequency Array [LOFAR], Long Wavelength Array at Owens Valley Radio Observatory [LWA-OVRO]), as they acquire their first data on extrasolar planetary systems; develop complementary observing strategies from existing optical/UV telescopes; and feed that forward to form an observational strategy for current and future radio and UV telescopes from both the ground and space. Numerous observational manifestations of planetary magnetic fields have been suggested. Electron cyclotron maser emission, resulting from an interaction between the planetary magnetosphere and the solar wind in the planetary magnetic polar regions, has been detected from all of the gas giants and the Earth in the solar system. In addition to electron cyclotron maser emission, planetary auroral regions produce ultraviolet emission, which may also be detectable over interstellar distances. There have been suggestions in the literature that the inflated radii of some “hot Jupiter” extrasolar planets may be due, in part, to Ohmic dissipation within the planet as the planetary magnetosphere moves through the magnetosphere of its host star. Finally, the magnetospheres of “hot Jupiters” have been predicted to produce a bow shock that would be detectable as an asymmetric transit light curve. Planetary Interiors: For the solar system planets, the composition of the conducting fluid ranges from liquid iron in the Earth’s core to metallic hydrogen in Jupiter and Saturn to perhaps a salty ocean in Uranus and Neptune. Likewise, radio detection of an extrasolar planet would constrain the planet's internal composition, insofar as it would require the planet to have a conducting interior. Combined with an estimate of the planet's mass and radius, one could infer the interior composition by analogy to the solar system planets. Planetary rotation: The rotation of a planet imposes a periodic modulation on the radio emission, as the emission is preferentially beamed close to perpendicular to the local magnetic field and will change if the magnetic and spin axes of the planet are not aligned. For the gas giant planets in the solar system, this modulation defines the rotation periods. Planetary Satellites: Jupiter's radio emission is also modulated by the presence of its satellite Io, and more weakly by Callisto and Ganymede. As the Jovian magnetic field sweeps over a moon, a potential is established by its v x B motion in the Jovian magnetic field. This potential drives currents along the magnetic field lines, connecting the moon to the Jovian polar regions, where the currents modulate the radio emission. Modulations of planetary radio emission may thus reveal the presence of a satellite. Atmospheric retention: A common and simple means of estimating whether a planet can retain its atmosphere is to compare the thermal velocity of atmospheric molecules with the planet's escape velocity. If the thermal velocity is a substantial fraction of the escape velocity, the planet will lose its atmosphere. For a planet immersed in a stellar wind, non-thermal atmospheric loss mechanisms can be important, as the typical stellar wind particle has a supra-thermal velocity. 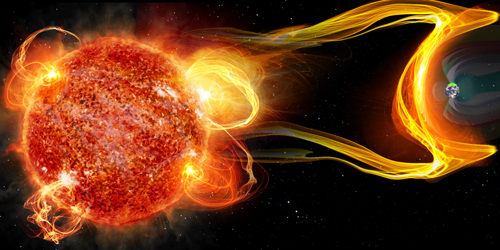 If directly exposed to a stellar wind, a planet's atmosphere can erode more quickly. Based on Mars Global Surveyor observations, this erosion process is thought to have been important for Mars’ atmosphere and oceans. Habitability: A magnetic field may determine the habitability of a planet by shielding it from cosmic rays and the stellar wind. 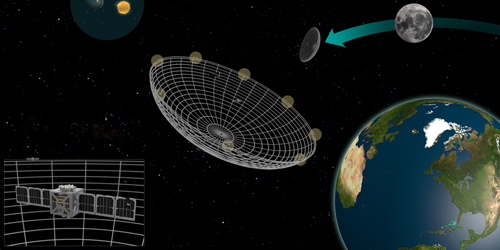 In addition to the erosive effect of the stellar wind on the atmosphere, if the cosmic ray flux at the surface of an otherwise habitable planet is too large, it could cause cellular damage or frustrate the origin of life altogether. Mars is again a good example here: Mars may have been habitable in its past when it had a magnetic field to protect its atmosphere and surface water. Understanding the global carbon budget and its changes is crucial to current and future life on Earth. The marine component represents the largest reservoir of the global carbon cycle. In addition to physical processes that govern carbon fluxes at the air-sea interface and regulate the atmospheric carbon budget, complex internal sources and sinks, including inorganic, geologic, microbiological and biological processes also impact carbon distributions and storage. Therefore, it is essential to observe and understand the whole system. This is a daunting task, as many of the processes are distributed throughout the ocean, laterally and vertically over scales ranging from centimeters to thousands of kilometers. Ship and satellite observations both offer a partial view but, for ships, are either too short term and localized and satellites, despite their large spatial coverage, lack the spatial resolution. Ocean robots, such as deep diving autonomous underwater vehicles (AUVs) and gliders, provide in-situ observations of the seafloor and water column while the surface can be observed in-situ by autonomous surface vehicles (ASVs). Presently, these assets are used disparately with each operating independently and requiring direct human intervention for data interpretation and mission retasking. This paradigm is insufficient for the task of obtaining the millions of in-situ and remote measurements necessary for quantifying the ocean’s contribution to the global carbon cycle. This study brings together scientists, who understand the imperative and scope of quantifying the global carbon budget, with technologists, who may be able to glimpse a possible way of solving it. develop a collaborative research agenda aimed at solving these problems. JPL News: From Monterey Bay to Europa, November 30, 2016. This program aims to develop and test new tools and algorithms for in-situ characterization of thermal and mechanical properties of regolith on celestial bodies such as asteroids, planets, and moons. The new tools and algorithms will be used onboard a landing vehicle to assess properties of regolith including friction angle, dilatancy, thermal conductivity, and specific heat. The primary objective will be to obtain as many engineering and scientific properties with simple low-tech tools such as wheels, masses, awls, small shovels, and soldering irons. These tools and related post-processing algorithms will provide clues about the nature of fundamental morphological processes on celestial bodies by providing crucial mechanical properties. The goal of this project has also a significant impact on mission cost and success, where minimizing energy, eliminating high-tech equipment failure, and optimizing functionality and data extraction are the key issues to tackle and overcome. The Caltech Space Challenge is a 5-day student space mission design competition. Students from a wide range of backgrounds (in both discipline and nationality) are invited to Caltech, formed into two teams, and given a mission design problem. 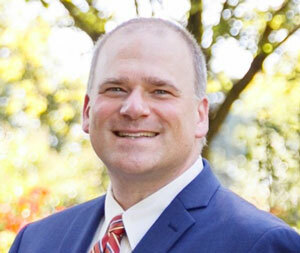 The student teams attend lectures related to mission planning, are given the necessary development tools, and are challenged to produce a viable mission design. This confluence of people and resources is a unique opportunity for young and enthusiastic students to work with experienced professionals in academia, industry and national laboratories. Participants are involved in a week-long team exercise to develop a campaign that culminates with a human mission to a Martian moon. Approximately 30 student applicants are invited to participate in the competition. NASA-JPL and Caltech faculties mentor the two teams to help them develop their mission plans. The challenge concludes with final presentations at Caltech, the submission of a final report, constructive feedback for both teams, and the announcement of the winning team. The report provides a complete description of the mission design, key technologies needed and their readiness level (TRL), the operating costs, timeline, etc. Students benefit tremendously by working in a multidisciplinary team, learning about project management and systems engineering. It also gives students the opportunity to connect and interact with top scientists and engineers in industry. This program is designed to stay consistent with the flexible path approach advocated by the Augustine Committee. The proposed objective is to conduct a 5 day student competition to design a sustainable space mission architecture that includes a human mission to a Martian moon. It is hoped that the innovative solutions that the students produce will be considered by NASA when they are designing their future human space flight missions. Lectures and workshops are provided to participating students on topics such as conceptual mission design, human spaceflight challenges, and recent advances in space studies. Our ability to close the Earth's carbon budget and predict feedbacks in a warming climate depends critically on knowing where, when and how carbon dioxide (CO2) is exchanged between the land and atmosphere. A new generation of satellite missions such as GOSAT and OCO-2 aim at retrieving column-averaged mixing ratios of atmospheric CO2 with sufficiently high accuracy and precision to enable inversions of land-atmosphere CO2 fluxes (so called top-down approach), greatly reducing uncertainties in biospheric net fluxes. However, a complementary bottom-up approach is needed to understand how biological processes control this net flux. For example, both the magnitude and its seasonality of photosynthesis (commonly referred to as GPP) are uncertain, and we currently have no direct means of assessing this flux. The focus of this workshop is on a newly developed capacity to monitor chlorophyll fluorescence from terrestrial vegetation by satellite. This new retrieval promises to provide direct and spatially resolved information on GPP, an ideal bottom-up complement to the atmospheric net CO2 exchange inversions. Sunlight absorbed by chlorophyll in photosynthetic organisms is mostly used to drive photosynthesis, but some can also be dissipated as heat or re-radiated at longer wavelengths (660-800 nm). This re-emitted light is termed solar-induced chlorophyll fluorescence (Fs) and has been found to strongly correlate with GPP. We will leverage our efforts on previous studies and workshops related to the ESA Earth Explorer FLEX mission concept. These studies, mostly focused on canopy and leaf-level interpretation, will provide the ground-work for our workshop, which will be focused on the global carbon cycle and synergies with atmospheric net flux inversions. Our primary goal is thus to advance our understanding of Fs and its relation to GPP and environmental stress at the planetary scale. The goal of this study was to develop new methods to test the radically new understanding of solar system formation that has recently emerged, and to identify innovative instrumentation targeted to this purpose. While it is widely accepted that primitive bodies (asteroids, comets, meteorites and interplanetary dust) hold the secrets to unlocking that understanding, the task of how to access that primordial record presents a formidable challenge that will require wide expertise and innovative thinking. The Nice model, which embodies our most recent understanding of solar system dynamics, proposes a large-scale architecture of the Solar system driven by planetary migration that predicts the origin of the Kuiper-Belt, Oort Cloud, NEOs, Jupiter's Trojan asteroids, and irregular satellites, and a scenario for the formation of Mars. This theory bears profound implications for the origin of volatiles and organics on Earth, and more generally, is relevant to all key science priorities identified in the NRC's planetary science decadal survey, Vision and Voyages. While the Nice model has a demonstrated record of explaining astronomical observations, such as the dynamical properties of migrated populations (irregular satellites, Trojan asteroids), validation of the theory remains to be achieved. Through this study program, the team proposed to establish a strategy for testing the validity of the current models of solar system formation and dynamics. While primitive bodies are a priori the best place to search for the record of origins, to date no such testing criteria has been identified. capturing the state-of-the-art relative to these requirements in order to determine the research and development avenues that could deliver quantum-enhanced capabilities. This study program has identified both near-term opportunities that could be ready for space-based experiments within a few years span, and more ambitious longer-term science, communication, and sensing opportunities where new research and development efforts are likely to result in high payoffs. Future space missions will require the conception, development and operation of a class of spacecraft that has unprecedented resilience, i.e., the ability to achieve envisioned science objectives even if the spacecraft performance and/or the environment are not as expected. Looking forward to future missions, the recent planetary decadal survey describes missions that will have tremendously challenging resilience requirements. 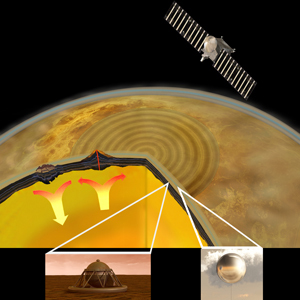 For example, the Venus In-Situ Explorer will have a very short period of time to perform its science before the extreme environment of the Venusian atmosphere kills the spacecraft; in its short lifetime it will need to autonomously decide what measurements to take for the best science return possible. Another example is the Trojan Asteroid Tour and Rendezvous concept that will fly by multiple small bodies and is required to make measurements in a very short time window. Finally, envisioned missions like extra-solar planetary probes must be fully autonomous and resilient due to the exceptionally long mission lifetimes and distances from Earth, and the completely mysterious environment they will find at their destination. These incredibly complex and ambitious endeavors represent the future of space science missions. These spacecraft must be capable of reasoning about their own state and the state of the environment in order to predict and avoid hazardous conditions, recover from internal failures, and ultimately meet the science objectives despite the uncertainties. The current paradigm relies on "brute force" approaches. Current missions fulfill their science objects typically by sequencing a fixed set of operations, with little capability for in-flight onboard decision making. Today, spacecraft operate in assumed known environments and in response to internal faults leverage on traditional techniques of: hardware redundancy, shielding, implementation of hundreds of pre-programmed 'reflexes', and large technical margins. The new class of missions, described above, will require unprecedented autonomy and resilience to achieve both the mission science objectives and reduced costs being demanded by government funding pressure. Moving beyond the current state of the practice therefore requires a fundamental paradigm shift in the way we conceptualize, design, implement, validate, and operate our systems. The challenge is to figure out a way to effectively develop and deploy such capabilities in order to enable the new class of missions, i.e., deliver an acceptable probability of returning high-value science while addressing degrading spacecraft condition and environmental uncertainty. Review software architectures and technologies that will be relied on to provide the requisite intelligence and behavior for these systems. A list of key processes for the agile and verifiable development of these systems. Technology advances in small spacecraft development, the growing numbers of launch opportunities, and the short turn-around time from mission conception to science return has drawn increased attention in the potential of small satellites to perform leading edge science from low Earth orbit. In particular, the CubeSat platform (< 10 kg) is driving new thinking regarding low-cost high-payoff Earth science observations that are largely inaccessible to more traditional spacecraft. Now that discoveries are being made this has motivated us to consider a much deeper problem: Can SmallSats (< 200 kg) advance a new era of unique, high-risk, moderate cost explorations in space science for observations unachievable via any other platform? This workshop will bring together space scientists, technologists, and mission designers across two workshops to conceive novel scientific observations and to resolve the technical roadblocks for new observations that are inaccessible to traditional spacecraft systems, yet enabled by small satellite systems. Investigations will span heliophysics, NEOs, and other small bodies, planetary exploration, and deep space science based on remote and in-situ observations. The driving theme is to push the boundaries of space science where the cost and risk would be unacceptable for Flagship-style billion dollar missions, yet the science return could fundamentally redefine our knowledge of the observed phenomenon. This program will be driven by revolutions in thinking, as well as science and technology, at all levels from observations, to mission concept design, to instruments, where the impact must advance our knowledge and accessibility to space at a fundamental level. Operational success may not be realized for many years, but this workshop will lay the groundwork for the next revolution in space science driven by the smallest possible platforms to achieve a particular science objective. The CMB (Cosmic Microwave Background) polarization community is coming to a decision point about the future direction of the field. On the one hand, the astro2010 decadal committee endorsed a technology program leading to a post-2020 satellite experiment. However the committee also supported a medium-scale initiative for a ground-based program. To capture the full scientific potential of CMB polarization, the CMB community must develop new observational and theoretical capabilities. Our study program aims at identifying the optimal combination of future ground-based and space-borne experiments in order to produce timely and definitive results. The overall goal of this Program was to develop and implement a compact instrument for the Axel extreme terrain rover to sample Martian or lunar rock and soil. A small group of students investigated the engineering design problems involved in extreme terrain sampling, and attempted to find a suitable solution. This gave several promising students an opportunity to collaborate with an experienced JPL robotics team on a relevant current problem in aerospace engineering. In addition, new sampling devices and sampling strategies will add functionality to the Axel rover and increase its technology readiness level. The designs resulting from this program are applicable to other extreme terrain robots conducting sampling missions on steep terrain. Study lead Melissa Tanner and Summer Undergraduate Research Fellowships (SURF) students drive Axel around JPL. An Asteroid Retrieval Mission Study was conducted to investigate the feasibility of finding, characterizing, robotically capturing, and returning an entire Near Earth Asteroid (NEA) to the vicinity of the Earth for scientific investigation, evaluation of its resource potential, determination of its internal structure and other aspects important for planetary defense activities, and to serve as a possible testbed for human operations at an asteroid. The study team evaluated different mission concepts and destinations for the Near Earth Asteroid (NEA) including the Lagrange points (Earth-Moon L1/L2/L4/L5 or Sun-Earth L2) as well as other Earth orbits. The asteroid will be 2-5 meter in diameter. Moving an asteroid is a huge idea – never has a celestial object been moved by humans. It is a huge idea, but not an impossible one. A recent study at JPL has already shown possible feasibility to move a small asteroid, with a mass of ~10,000 kg, deep into the Earth's gravity well – even to the orbit of the International Space Station. Human and robotic mission design, including the synergy between them: If the small NEA will be moved to a Lagrange point, stepping stones for human exploration into the solar system can be literally created: in case the asteroid destination is the Sun-Earth L2, then a subsequent human mission to the asteroid at this location could be the first crewed mission to deep space. Planetary defense: developing technologies that can mitigate the threat of a putative Near-Earth Object being discovered on a likely impact trajectory toward Earth. Astronomy, like most other fields, is being deluged by exponentially growing streams of ever more complex data. While these massive data streams bring a great discovery potential, their full scientific exploitation poses many challenges, due to both data volumes and data complexity. Moreover, the need to discover and characterize interesting, faint signals in such data streams quickly and robustly, in order to deploy costly follow-up resources that are often necessary for the full scientific returns, makes the challenges even sharper. Examples in astronomy include transient events and variable sources found in digital synoptic sky surveys, gravitational wave signals, faint radio transients, pulsars, and other types of variable sources in the next generation of panoramic radio surveys, etc. Similar situations arise in the context of space science and planetary exploration, environmental monitoring, security, etc. In most cases, rapid discovery and characterization of interesting signals is highly computationally limited. The first part of this problem is of a critical importance for the nascent field of gravitational wave astronomy, but it is also highly relevant for the searches for heavily dispersed pulsar signals in radio data cubes, or in γ-rays. The second aspect of the problem is to find gravitational microlensing events with characteristic signatures of planets around the lensing star. We invented of a couple new techniques to increase search efficiency, and the effort continues, with another technique added since the study’s completion. The current set of methods for this analysis yet has to be optimally combined into a full data analysis pipeline, requiring manpower, and this remains a very worthy and a attainable goal for future work in the near-to-mid-term. In a series of images where the third axis represents time or different wavelengths, there may be sources that appear only intermittently, but that are not statistically significant in any one epoch or channel. If the right subset of these were to be averaged, the detection would be significant, but averaging all of them would dilute the signal. An easier version of the problem is if the position of a possible source is already defined; a more challenging application is to blind searches. A solution to this problem could increase the effective depth of multi-epoch sky surveys from both ground or space. A novel, statistically based method was developed for this purposes, and implemented as a software package. It is now being scientifically validated on the data from actual sky surveys. Scientific returns from synoptic sky surveys are now increasingly limited by the ability to follow up the most interesting sources and events. Given the time-critical nature of such events, their rapid characterization or classification is essential for an optimal deployment of limited follow-up resources. The problem is complicated by the sparsity and heterogeneity of the data, and the presence of rtifacts that may masquerade as transient signals. The process has to be complete (no good signals are missed) and with a low contamination by false alarms. Automated classification of light curves is also essential for the archival exploration of synoptic sky survey archives. We explored and developed a number of new statistical and Machine learning approaches, that are now being scientifically validated on the actual sky survey data streams. Work continues along all of these avenues that were started or substantially expanded during the KISS study. Our study sought to create a new paradigm in UV instrument design, detector technology, and optics that will form the technological foundation for a new generation of ultraviolet missions. This study brought together scientists and technologists representing the broad community of astrophysicists, planetary and heliophysics physicists, and technologists working in the UV. Next generation UV missions require major advances in UV instrument design, optics and detector technology. UV offers one of the few remaining areas of the electromagnetic spectrum where this is possible, by combining improvements in detector quantum efficiency (5-10x), optical coatings and higher-performance wide-field spectrometers (5-10x), and increasing multiplex advantage (100-1000x). At the same time, budgets for future missions are tightly constrained. Attention has begun to turn to small and moderate class missions to provide new observational capabilities on timescales that maintain scientific vitality. 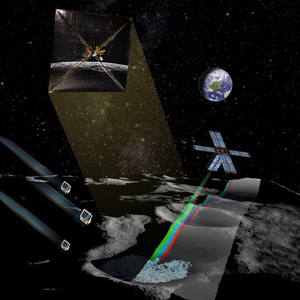 Developments in UV technology offer a comparatively unique opportunity to conceive of small (Explorer) and moderate (Probe, Discovery, New Millennium) class missions that offer breakthrough science. Our study began with the science, reviewing the breakthrough science questions that compel the development of new observational capabilities in the next 10-20 years. We invented a framework for highlighting the objectives of UV measurement capabilities: following the history of baryons from the intergalactic medium to stars and planets. In astrophysics, next generation space UV missions will detect and map faint emission and tomographically map absorption from intergalactic medium baryons that delineate the structure of the Universe, map the circum-galactic medium that is the reservoir of galaxy-building gas, map the warm-hot ISM of our Galaxy, explore star-formation within the Local group and beyond, trace gas in proto-planetary disks and extended atmospheres of exoplanets, and record the transient UV universe. Solar system planetary atmospheric physics and chemistry, aurorae, surface composition and magnetospheric environments and interactions will be revealed using UV spectroscopy. UV spectroscopy may even detect life on an exoplanet. Climate change is happening and its full consequences are not fully understood. A prevailing view contends that any warming above about 2 Celsius degrees from preindustrial times will be dangerous, producing serious negative consequences for humans and natural systems. Although the safest and most obvious method of moderating against such climate change is to take early and effective action to reduce emissions of greenhouse gases, there is no evidence that the necessary reductions required to avoid reaching the potentially dangerous climate change will be achieved in the near or medium term future. A number of climate intervention concepts, referred to as “geoengineering,” are being considered as an alternative approach to managing climate change. However, before we go down the path of deliberate climate intervention, it is essential that we take the necessary steps to validate our understanding that underpins any of the proposed intervention concepts in order to understand all likely consequences and put in place the necessary strategies for monitoring the expected and unintended consequences of such intervention. 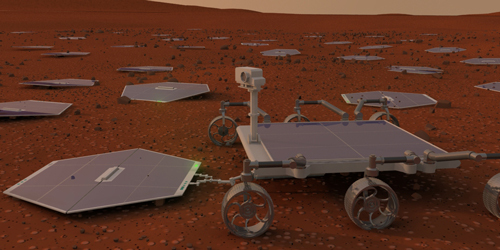 xTerramechanics is a discipline that entails the study and modeling of interactions between spacecraft and extraterrestrial geomaterials, such as the canonical case of NASA rovers driving on Mars soil. This KISS study will bring together key technical experts from across the U.S. to advance the study of such surface interactions, deepening our understanding of key mission life-cycle processes: formulation trades, design, mission operations, and in-situ science context and integration. The results of this study will be enabling for many future missions in our solar system. Rapid "virtual prototyping" of mobility and sampling concepts will aide in exploration of radically new surface-system trade-spaces, development of new project implementations, and optimization of mission operations. 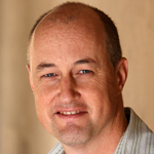 These advancements will be made possible by recent cross-disciplinary developments such as innovations in granular media simulation, Discrete-Element-Modeling (DEM) and nonlinear Finite Element Analysis (FEA) of soil/regolith, utilization of enormous increases in computational capability, and the development of dynamic Multi-Body Simulation (MBS) software: all opening the door to full physics-based modeling of planetary hardware systems (e.g. mobility platforms, sampling devices, and construction platforms) interacting with natural bodies (e.g., asteroids, comets, moons). These critical developments are at the intersection of geo and planetary sciences, physics, and mechanics. Our goal is to spur innovation in a new multi-scale, multi-domain modeling framework that encompasses this intersection, from small-scale granular physics and contact mechanics to large-scale spacecraft dynamics. Developing, combining, and integrating MBS software with modern non-linear FEA and DEM subroutines will eventually allow for the development of system and environmental models with fully analytical or physics-based characteristics. Experimental measurements will be incorporated into these processes to produce a validated, end-to-end integrated modeling and simulation environment and a validated, ground-based robotic systems testbed. These breakthrough developments will engender optimal and well understood system trades, resulting in more successful and revolutionary types of NASA planetary missions with enhanced science return, and increased return on investment and cost control. The purpose of our project was to conduct a series of high altitude balloon experiments on student-designed launch platforms. 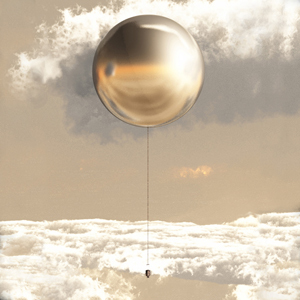 Many design goals were considered, including, but not limited to: horizontal control for helium weather balloons, tethered camera platforms (controlled and passive), rocket and glider payloads, self-stabilizing platforms, high-definition video platforms, and miscellaneous data collection. Over the course of the project, the High Altitude Ballooning Group completed two successful high altitude launches and several workshops on payload design and microcontroller programming. We have also conducted tests on tethered camera payloads, including field tests in Alaska for a related JPL study on imaging methane seeping from under frozen lakes. Titan (with extremely low surface temperatures ranging from 90 to 94 K) represents a tremendous challenge for mission design and implementation, particularly when the scientific goals involve an analysis of the chemical processes taking place. Detailed chemical analysis requires the acquisition and handling of samples without chemically or physically perturbing them in the process. 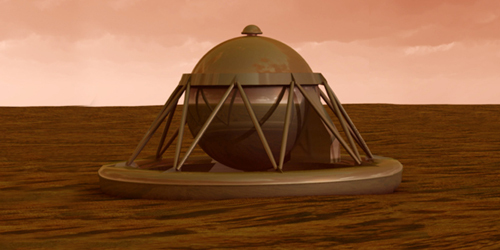 Current state-of-the-art sample acquisition systems demonstrated on the Martian surface (with surface temperatures warmer than 143 K and pressures of 0.01 bar) require elaborate environmental control systems and have only been utilized on solid samples taken at extremely shallow depths. The re-design of sample handling systems for deep exploration of the colder, denser, and more thermally conductive Titan environment becomes prohibitively expensive due to the extreme penalties incurred in terms of system mass and power. Furthermore, the process of acquiring a complex sample from Titan's wide-ranging environments (lakes, dunes, possible cryo-volcanoes, and atmosphere) and transferring it to the warmer spacecraft interior inherently induces physical and chemical alteration of the sample. We will formulate revolutionary technology breakthroughs that will enable the development of sample acquisition systems and relevant instruments capable of in-situ operation during NASA's missions to extremely cold environments, with Saturn's moon Titan as the exemplar. Identifying these technologies will be the focus of our proposed KISS Study Program. Our program has the potential to develop innovative ideas for future space missions based on our strategy that includes a unique cross-fertilization of key experts from multi-institutional backgrounds: Caltech, JPL, industry, and other academic institutions. The workshops, study period, and opportunities for junior members of the community are aimed to specifically promote and benefit JPL-Caltech-external collaborations. Of the nearly 14 billion year history of the Universe, we have probed only the last 13 billion years in any detail. In the missing first billion years of cosmic time are some of the most critical events in the history of the Universe, including the processes leading to the formation of the first star, the first galaxy, and the first black hole. This is the fundamental period when primordial density fluctuations following inflation evolved through baryon in-fall, adiabatic cooling, and gravitational collapse to create compact luminous structures for the first time. But probing this era is beyond the capabilities of today's instruments. New approaches are needed to enable break-through observations. We propose a Study Program of technological and scientific exploration driven to study the first era of structure formation in the early Universe and to probe the interplay between dark matter and baryons at high redshift. The goal of our Study Program is to identify the most promising observational avenues to filling the missing history. It will lead to a better understanding of the current technical and scientific roadblocks to progress and how to overcome them. We expect the Study Program to elucidate unique advantages of space-based platforms and help to spur novel approaches, core technology development, and new mission concepts. Our Study Program will be structured around the principal theme of diffuse spectral radio/mm/sub-mm observations that target atomic and molecular lines as tracers of matter in the pre- and inter-galactic medium and early structures. These lines and related scattering and other spectral signatures are present during recombination in the form of highly redshifted atomic recombination lines of H and He, and at subsequent times as molecular cooling lines (from e.g. H2), metal fine structure forbidden lines, and the rest- frame 21 cm HI hyperfine line. We foresee the potential for this Study to result in spin- off scientific and technical opportunities, including new avenues to probe the forest of anomalous spinning dust lines or detect counterparts to diffuse optical bands in the ISM. In 2007 the Intergovernmental Panel on Climate Change (IPCC) reiterated that "Cloud feedbacks remain the largest source of uncertainty" in climate projections. How clouds change in response to radiative forcing effectively determines the sensitivity of the Earth's temperature to increases in greenhouse gases. Clouds in the boundary layer, the lowermost region of the atmosphere adjacent to the Earth's surface, are known to play the key role in climate feedbacks that lead to these large uncertainties. Yet current climate models remain far from realistically representing the cloudy boundary layer, as they are limited by the inability to adequately represent the small-scale physical processes associated with turbulence, convection and clouds. Although some relevant information can be obtained from existing measurements and missions, we remain far from directly observing the thermodynamic structure (e.g. temperature and water content) underneath clouds. Current efforts attempt to leverage information from platforms, which were not specifically designed to support boundary layer cloud science. Much of the uncertainty regarding cloud-climate feedbacks and consequent unreliability of climate projection is associated with this deep lack of observations of the cloudy boundary layer on a global scale. Only technology breakthroughs can lead to observations at the required scales. This Study will identify the technology developments required to obtain the space-borne measurements needed to significantly reduce this key climate projection uncertainty. Can top-down estimates of carbon dioxide (CO2) fluxes resolve the anthropogenic emissions of China, India, the United States, and the European Union with an accuracy of plus or minus 10% or better? 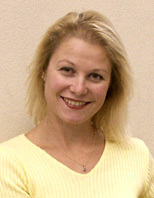 The workshop “Monitoring Exchange of Carbon Dioxide” was convened at the Keck Institute for Space Studies in Pasadena, California in February 2010 to address this question. The Workshop brought together an international, interdisciplinary group of 24 experts in carbon cycle science, remote sensing, emissions inventory estimation, and inverse modeling. The participants reviewed the potential of spacebased and sub‐orbital observational and modeling approaches to monitor anthropogenic CO2 emissions in the presence of much larger natural fluxes from the exchange of CO2 between the land, atmosphere, and ocean. This particular challenge was motivated in part by the NRC Report “Verifying Greenhouse Gas Emissions” [Pacala et al., 2010]. This workshop report includes several recommendations for improvements to observing strategies and modeling frameworks for optimal and cost‐effective monitoring of carbon exchange.The study will evaluate how well current and near-term missions designed to demonstrate accurate atmospheric CO2 remote sensing (e.g. 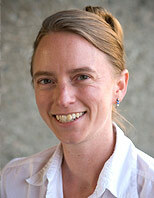 SCIAMACHY, AIRS, GOSAT, and ACCENDS) can constrain emissions and sinks of CO2 and other greenhouse gases. Seismology is the method of choice for understanding planetary structure and has had enormous success for Earth. It is seldom employed for other bodies thus far because of the technical challenges, even when the body has a solid surface. In some case (e.g., detection of normal modes for giant planets) there are serious doubts about feasibility, given likely signal strengths, except for the case of excitation by impacting bodies. The scientific pay-off is potentially so enormous that one should make an effort to assess all possible approaches, even though the challenges are great. The goal of this study is to bring together a group of scientists and engineers and brainstorm the problem. The mix of people will include those who have thought about the plausible signal strengths and what detection might tell us about the interior of planets. It will also include those who have thought about the technology challenges, e.g., use of balloons or sensitive gravity measurements or Fourier spectrometry (developed primarily in France). It will be a forum for ongoing work in related areas (e.g Earth atmosphere and ocean excitations that couple to the interior.) It will also be sufficiently broad in scope to include consideration of approaches that are geodetic or tidal or magnetic (related to seismological approaches through the common theme of seeking to detect those changes in the planet that are on relatively short timescales but are probes of interior structure). The outcome of the program will be a critical assessment of whether there are new directions to develop, or existing directions in need of technological impetus. The objective of this study is to imagine remote sensing systems and processing techniques that will produce observations (Optical, SAR, or Lidar) with optimal spatial and temporal coverage, ground resolution and registration accuracy to measure deformation and surface changes that are relevant to investigate the internal and external dynamics of Earth and potentially other planets. We will evaluate the technical challenges and explore possible solutions to achieve these goals both at the level of the sensor and of the data processing. Indeed, our experience using data from existing systems shows that simple modifications of currently used technologies could lead to major improvement of the registration quality, for example with appropriate distribution of the CCDs in the focal plane of an optical system. 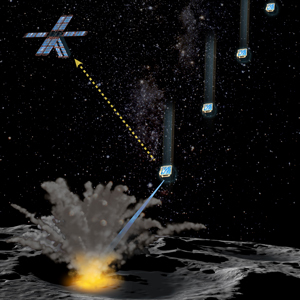 Exploitation of new spaceborne digital hardware capabilities is also driving innovation in radar designs, redefining what is possible for future missions in terms of coverage and accuracy. As a result, there is a broad range of ways this study will impact future missions. We could come up with specifications for dedicated systems and better way of integrating and exploiting a wide range of data from future Earth Observing missions. This study was designed to significantly advance the capability to build single photon counting array detectors at submillimeter to ultraviolet wavelengths for astronomy, including optical single photon detectors for communications. The ability to count single photons offers the ultimate sensitivity for imaging and spectroscopic astronomical instruments. This sensitivity is required to achieve astronomical background limited sensitivity in the submillimeter-far infrared wavelength range which will surely be exploited in follow-on missions to Spitzer and Herschel, as well as to GALEX at ultraviolet wavelengths. Single photon counting detection offers the potential for energy resolving arrays that can carry out low-resolution spectroscopic imaging without the complexity or loss from wavelength-selective devices. This capability is required for the highest performance coronagraphs envisioned for future exoplanet detection missions. Single photon detectors are essential to optimize high bandwidth optical communication links to distant spacecraft whose data rates will themselves be growing rapidly. The initial phase of this study examined a number of single photon detection concepts at different stages of development. We took a fresh look at exoplanet characterization science from the point of view of new instruments that could do breakthrough science or that could pave the way for the next generation of space missions. We were especially interested in generating ideas for near-term projects from innovative observing platforms, including but not limited to aircraft, balloons, rockets, and the International Space Station, with the understanding that these platforms may afford quicker access to near-space, and at lower cost, than a full space mission. Water vapor and cloud - climate feedbacks are currently considered to be the two most important feedbacks in the context of climate change. Although more realistic in terms of water vapor, present-day climate models fail to properly represent the physical processes associated with cloud-climate feedbacks. Remote sensing from space of these small-scale processes, such as clouds, turbulence and convection, is notoriously difficult and is still not good enough in order to provide the necessary constraints that would lead to a better understanding of the climate system and to improved climate prediction. To provide guidance on future research and future missions regarding the physics of climate change. Nearly one quarter of the mass and energy budget of the Universe is in the form of "dark matter," whose existence is made clear by its gravitational imprint on galaxies, galaxy clusters, and even on the cosmic microwave background. Dark matter is likely comprised of one or more particles that are speculated on, but are not yet known. There are many particle candidates for dark matter drawn from several distinct theoretical ideas. Each of these candidates may be detected by different experimental setups, some direct and some indirect, based on the nature and properties of the particle. There have recently been some tantalizing observations that may be related to such detections. Furthermore, each of these candidates may lead to different observable consequences on a dizzying range of astronomical scales. Some of these include measurements of small-scale dark matter structure in the Milky Way and beyond, and the dynamics of colliding galaxy clusters. This leads to the goals of this mini-program, to bring together diverse theoretical and observational perspectives on dark matter particle candidates and their properties, their astrophysical expressions, and the observations today and in the future that may solve the problem of the nature of dark matter. Some of the richest potential science targets for future planetary exploration missions are sited in terrains that are largely inaccessible to state-of-the-art robots, thereby limiting our ability to carry out in situ sampling and analysis. For example, bright new deposits have been discovered several hundred meters below the rims of steep craters in the Terra Sirenum and Centauri Montes regions on Mars. While the Opportunity rover has imaged layers of bedrock in the vertical promontories of Cape St. Vincent in Victoria crater, these geological features are currently inaccessible to conventional sampling methods. High-resolution images of stratified deposits of ice and dust captured by the Mars Reconnaissance Orbiter reveal a very challenging terrain. The recently reported large methane plumes rise over heavily cratered terrains in the Arabia Terra and Syrtis Major regions of Mars. The surfaces of Titan, Europa, Enceladus, and the Earth’s moon also offer challenging surface features. All of these geological features require a new generation of robots to access the challenging terrains in order to probe, sample and measure. Direct access to these complex terrains may enable new inquiries that could lead to significant scientific rewards. This workshop will examine, in depth, science-driven mission concepts that could leverage recent technological advances in robotic mobility (e.g. tethered and cliff climbing vehicles) and sampling for such high-risk terrains. We will explore concepts that combine one or more low-mass robots with fixed or mobile host platforms to extend our capability in exploring high-risk terrains. We plan to better define candidate mission concepts and their associated technological challenges. Based on these concepts, we expect to craft a roadmap for future research and development programs that will advance the art in robotic mobility platforms, on-board instrumentation, and the sample acquisition devices that are needed to enable future missions in complex terrains. Armed with this roadmap, we hope to collectively advocate for future NASA technology development programs that will enable in situ science in complex terrain missions. This one-week workshop was a forum to explore new concepts that enable major scientific advances at modest cost in the far-IR / submm spectral range. Far-IR astronomy is typically driven toward expensive, flagship-class missions, primarily because optimal sensitivity requires a large cold collecting area in space and novel detector approaches. This workshop looked for opportunities to make new break-through measurements without flagship-class budgets. The participants generated a list of promising concepts and ideas, and key questions for further study. Their detailed assessment is beyond the scope of the workshop but they could be pursued afterward with analysis, modeling, and engineering studies. 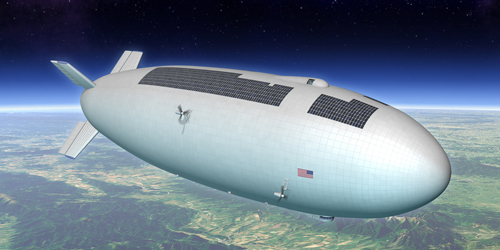 While some ideas may prove impractical until new technology is available, others might evolve into near-term mission and instrument designs. Sessions were organized for science motivation and wish-lists, break-out sessions for innovation areas (e.g. cooling, optics, architecture), for coordination and integration of break-outs, and for summary and distillation. The intent was to be completely unconstrained in brainstorming, except, of course, by the laws of physics. Recent exploration of the surface of Mars has revolutionized our understanding of its evolution and current processes. Aqueous, aeolian and volcanic stratigraphic sequences have been recognized; phases that precipitated from or reacted with liquid water have been identified; we have created high-resolution images of stratified deposits of ice and dust at high latitude; and real-time geomorphologic changes have been observed. These discoveries are transforming our view of geological processes on Mars, particularly those involving near-surface water. These discoveries present both an opportunity and a challenge: Locked within these stratigraphic sequences and distinctive surface materials is a record of surface water, volcanism, geomorphologic evolution and climate likely spanning much of the history of Mars. But, just as for past studies of the stratigraphy of the Earth and Moon, that record can only be read through measurements constraining process, rate and, most importantly, age. This workshop was hosted by the Division of Geological and Planetary Sciences of the California Institute of Technology and is supported by the Keck Institute for Space Studies. The subject of this workshop is MMIC Array Receivers and Spectrographs, specifically, large arrays of coherent detectors based on monolithic microwave (or millimeterwave) integrated circuits in the frequency range from tens to hundreds of gigahertz. Explore the science that would be enabled by large MMIC arrays for cosmology, astrophysics, planetary science, atmospheric science, and remote sensing of the Earth. Would this be "transformational" science? Determine the key technical developments that are needed both for MMIC arrays themselves and for digital backends. Identify prototypes that should be the subject of follow-on funding. Devise a roadmap for MMIC arrays and MMIC array spectrograph development over the next decade, including the prototypes, the likely sources of funding, the principal instrumentalist groups and industries that should be involved, etc. Recommend specific prototype development programs that should be funded over the next 2-3 years to ensure timely exploitation of this rapidly developing capability. The workshop provided an opportunity for interaction between the local participants (from Caltech and JPL) and a number of external participants that will shape the future directions of an ongoing 6-month study that began with this kick-off workshop. Our aim is to make a lasting impact on the field of large space apertures. What are the community’s needs for (a) optical apertures or (b) RF apertures in the next 10-20 years? What is the state of the art in optical and RF apertures? What are the roadblocks that prevent us from meeting the community’s needs, given the state of the art? What approaches could be followed to address these roadblocks? 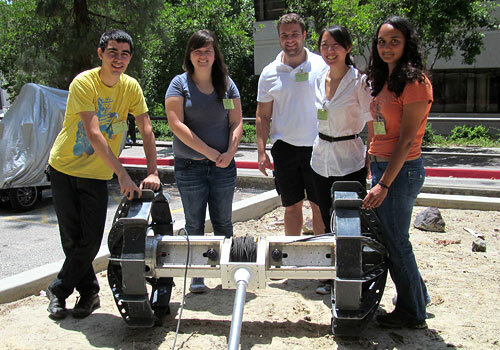 "Student-Built Satellite Telescope Prepares for Space", Caltech. August 16, 2018.